It is highly unlikely that Tom Glavine’s acceptance speech during a future induction ceremony into the Baseball Hall of Fame in Cooperstown, N.Y., includes mentions of his driving accuracy or the strengths of his short game. But, at minimum, a fleeting golf reference by Glavine would be apropos to the culminating words of his baseball career for a number of reasons. The Atlanta Braves pitcher’s enshrinement is a lock upon his retirement and subsequent eligibility for the Hall of Fame. It is a matter of setting the date and time. Many baseball purists speculate that Glavine, a two-time Cy Young award winner, will be immortalized as the last of the sport’s 300-game winners, mostly due to the modern game’s reliance on middle- and late-inning relief pitching. Glavine’s laser-like pitching control and equally precise emotional management have earned him elite status in baseball’s annals. He evolved into a singular talent during his 20-plus year career. But it was his acquired jones for golf, whether or not he publicly acknowledges it, which provides the polish for his forthcoming bronzed bust. 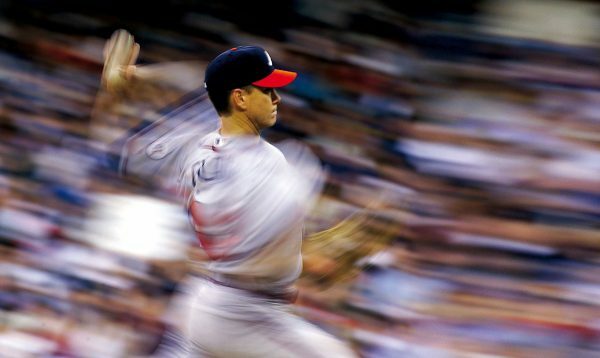 In the 1990s, Glavine comprised one-third of Major League Baseball’s most renowned pitching staffs with fellow Braves aces John Smoltz and Greg Maddux. The trio led the Braves to a World Series championship in 1995 and was the impetus behind many of the team’s 14 consecutive divisional championships. The three amigos—all still among the best hurlers in the business—were as tight as buddies on the golf course as they were teammates in the dugout. As starting pitchers, they have the luxury of playing baseball every fourth or fifth day. They are bench spectators for all but 35 or so games of the 162-game regular season. That leaves plenty of time for golf. And they take full advantage of it. Whether during spring training in Florida, homestands in Atlanta or extended road trips to the West Coast, Glavine, Smoltz and Maddux played many of the finest golf courses across the country. The competition was good-naturedly fierce on the course. Meanwhile, those frequently scheduled four-hour golf outings blended into insightful pitching skull sessions between shots, according to Glavine. Their shared knowledge and camaraderie on the golf course played a role in producing—entering the 2008 season—a staggering total of 857 wins and seven National League Cy Young awards, a recognition bestowed annually to the most dominant pitcher in each league. Glavine, back with the Braves this season after five years with the New York Mets, owns 303 wins and two awards. Maddux, now with the San Diego Padres, claims 347 wins and four consecutive Cy Young trophies. Smoltz claims one Cy Young award and 207 wins, plus 154 saves gathered during a three-year stint when he sauntered out of the bullpen as one of the game’s most dominant closing pitchers. Professional baseball’s pitching equivalent of Murderer’s Row, in essence, coalesced on the golf course. Growing up in Billerica, Mass., honing his golf game was far down the list of Glavine’s priorities. He said he occasionally grabbed his dad’s clubs to go hit balls in a field behind his boyhood home. In high school, Glavine played a few rounds each summer with friends at the local Billerica Country Club course, which was a nine-hole layout at the time. But golf participation in his youth was, literally and figuratively, mostly hit or miss. “I was intrigued by (golf) back then,” says Glavine. “But it was just a casual thing. I remember thinking my first times out that (playing golf) was a lot harder than you think it would be. You have that image of the ball just sitting on there on the tee with all of that open space and thinking ‘I’m going to go hit it there.’ It was a much harder sport and a more humbling experience than I anticipated it being. Those two loves would be baseball and hockey. Glavine was a prep hockey sensation as a high-scoring center. He was offered a college hockey scholarship and the Los Angeles Kings drafted him in the fourth round of the 1984 National Hockey League draft. Instead, Glavine chose baseball and signed with the Braves, who selected him that same year. It was during his early years with the Braves organization—Glavine spent three years with the team’s minor-league affiliates—that he discovered his true passion for golf. Glavine was called up to the major league’s full time with Atlanta in 1988, the same year that Smoltz joined the team. Maddux was not acquired from the Chicago Cubs until five years later. With maximized recreational time, Glavine was able to whittle his handicap down to as low as a 2, but says his median range is a 6. Anyone who has watched Glavine pitch would likely choose adjectives like easy, graceful, natural and unforced to describe his fluid delivery. He gets batters out more with harnessed guile than unbridled power. That ingrained kinetic smoothness seamlessly translates into his golf game. Glavine said there are numerous other transferable skills between the golf course and the pitcher’s mound that he relies on. Most golfers could learn valuable lessons adhering to the measured strategies and emotional mindsets employed by one of this generation’s athletic luminaries. Glavine said one of his golfing highlights, and most knee-knocking experiences, was being paired with Arnold Palmer at the Bob Hope Chrysler Classic Celebrity Pro-Am Tournament. “As a professional athlete, there are not a lot of things that you get nervous about, or feel like you can’t keep your emotions under control about,” says Glavine, who coolly helped clinch the final game of the 1995 World Series with the baseball world watching. Glavine may or may not choose to give golf its kudos when he is at the podium in Cooperstown at a yet-to-be-determined date, but the sport has played an essential role in his rise to baseball stardom. It is a close bond with golf that he plans on cultivating well beyond his retirement from professional sports. Club memberships: Country Club of the South, Alpharetta, Ga.; Hawks Ridge Golf Club, Ball Ground, Ga.; The Cliffs at Keowee Vineyards, Sunset, S.C.